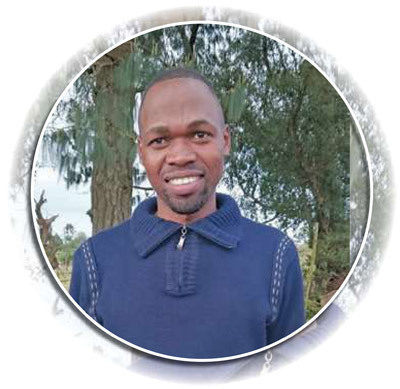 Simo Zwane is an active member of the Louwsburg Study Group in Kwa- Zulu-Natal. He is 35 years old and uses what he has to the best of his ability. I farm at Louwsburg in Mzamo Location (Abaqulusi Municipality, KwaZulu-Natal Province). I started planting maize on 0,2 hectares and am currently farming on communal land planting maize and dry beans on 1,5 hectares of dryland. As I have no access to equipment I use my hands. The fact that there are no jobs opportunities motivates me to become a more successful farmer. I see farming as the only way that I will make a living and a means to alleviate hunger and put food on the table. I want to get ahead in life and make something of myself as nobody else will do it for me. I have learned that farming is my life, it gives my family food and income. Strengths: I’m still young, energetic and I believe I can do whatever is required on the field with my hands. I thrive to improve and have the ability to do what I’ve been taught and learned. Weakness: Financially I’m not that good and I do not own any implements, I do everything with my own hands. When I started, I was just more than satisfied if I managed to harvest 1 t/ha - 2 t/ha on average in a good season. Then Grain SA came along with new technology and better ways of producing maize. I am now in the 3,5 t/ha - 4 t/ha region under dryland and that was despite the severe drought we experienced last season. Joining Grain SA study group, attending study group meetings, attending farmer’s days, doing training courses – that’s what played a vital role to my progress. I also have passion for farming and willingness to continuously learn new things. I attended the Introduction to Maize Production and Basic Engine Repair courses. I would still like to learn more about Dry Bean Production, Tractor Maintenance and Workshop Skills and any other trainings courses that equip me with required skills in farming. I am willing to learn as it will equip me to do better at farming. Where do you see yourself in five years’ time? What would you like to achieve? In five years’ time I would like to expand to 10 ha - 20 ha on communal land. I would like to be a successful farmer and farm with other crops not only maize, be a supplier to the local market and I would like to grow from strength to strength in farming. I would love to produce more maize per hectare but need more training and knowledge. They must see farming as a business and not run away from farming because nowadays there are no job opportunities and they must utilise the land that they have, no matter how small it is. One must have a passion for farming and believe in oneself and continue working hard. Article submitted by Jurie Mentz, Development Co-ordinator of the Grain SA Farmer Development Programme, Vryheid. For more information, send an email to jurie@grainsa.co.za..